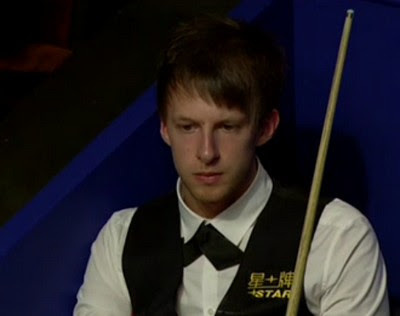 World Snooker Championship Day 5: Judd Trump beaten Dominic Dale by 10-7 to through to second round. The UK Champion suffered from food poisoning on Tuesday morning but got better today. Trump led Dale by 5-4 when second session started but Dale scored the first two frames of the session to regain a lead. Trump levelled off 6-6 with 114 at the mid interval. 80 from Dale helped him to establish a lead again before losing two frames to let his opponent being 8-7 in front. 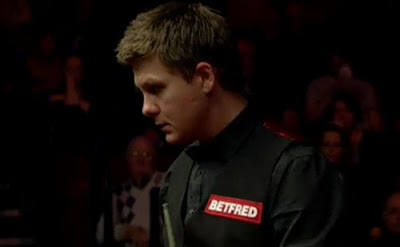 A crucial fluke came in frame 17, Trump fluked a red which remind us the similar situation that Dale encounter when he faced Trump in the first round of UK, Trump won a crucial frame to stay in the match with two flukes. Dale had chances in frame 18 but he missed again, Trump won by 10-7. "I'm tired, yesterday I felt worse, but today I'm more drained. I haven't eaten for two days, I tried to have some soup last night but other than that it's just been bread really, so I'm just glad to get out of there," said last year's runner-up. "It's the closest I've ever been to pulling out in a professional tournament. If it had been a smaller event like a PTC then maybe I wouldn't have played.'' Trump is very likely to face Ali Carter next, who leads Mark Davis by 8-1 at the end of first session. Ryan Day shocked Ding Junhui by 10-9, coming from 6-9 behind. The Welshman won the opening two frames of the session to extend his lead to 6-4 before losing the next five as Ding made breaks of 38, 52, 56, 69 and 57. Day did not give up, knocking 57 and 79 in the coming three frames to force a decider. 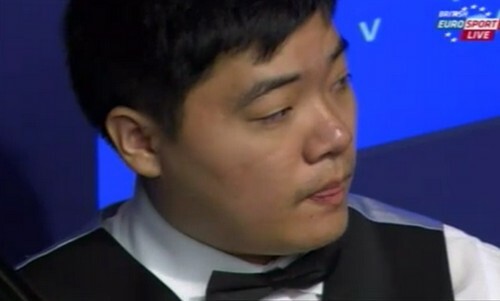 Ding looked good in the decider but unexpectedly broken down on 48, an easy red with a rest. Day clinched the victory with a break of 64 to meet Cao Yupeng in the second round. The Chinese who reached semi-finals last year said: "It was all rubbish. I don't think I played well. I was concentrating on the game and people kept shouting. How can they do that? People say Chinese fans are not good but I come here and what do they do?" I believe this is out of frustration, no offence on the audience. Ding just has too much pressure on his shoulder from the Chinese fans. It is understandable. World Number One Mark Selby lost to Barry Hawkins by 10-3 with a neck injury. Selby said after his defeat, "Ten days ago it looked as if I would have to pull out, so I'm pleased that I was at least able to play and try my best. There's never a good time for something like this to happen, but I wish it had been earlier in the season.'' Hawkins will play Matthew Stevens to compete for a quarter-finals spot. Mark Williams led China's Liu Chuang by 6-3, requiring just four more frames to set up a clash against Ronnie O'Sullivan in the next round.